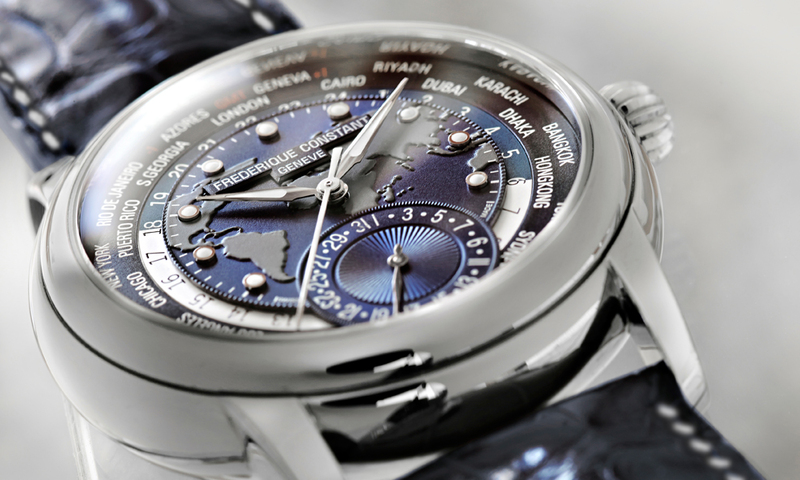 Frederique Constant has announced at Baselworld 2015 that it will introduce the Worldtimer Manufacture. It is a new addition to its Worldtimer Collection. 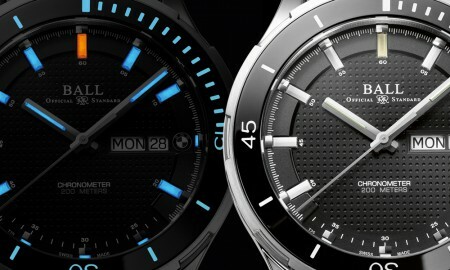 The new 42 mm polished stainless steel case is made from three interconnecting parts that combine to create the timepiece. It will house a FC-718 Manufacture calibre automatic movement that has 26 jewels and a minimum power reserve of 42 hours. The blue dial is complemented by a navy blue alligator strap with white stitching, while the Worldtimer Manufacture features convex sapphire crystal and a see-through caseback. 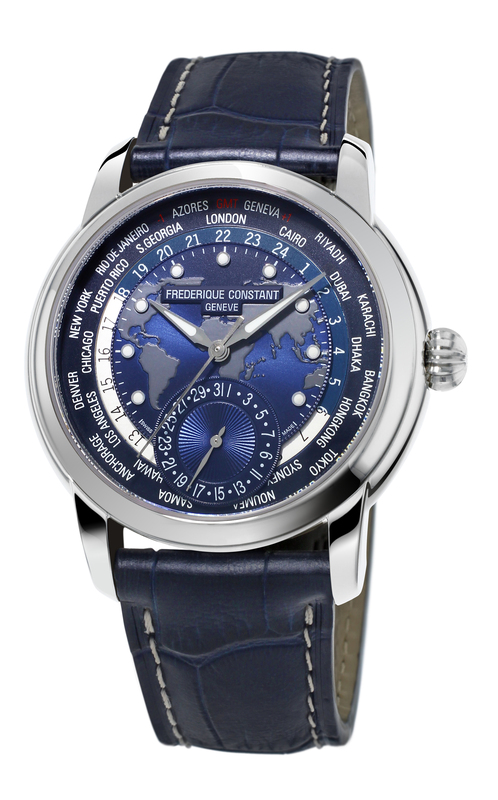 The Worldtimer function, which can be set using the crown, allows the wearer to select the desired setting by placing it at the 12 o’clock position on the dial. Once the internal discs are synchronised, they also indicate whether it’s the day, with the white disc, or if it’s the night, with the blue disc. The date itself can be read at the 6 o’clock position. The Worldtimer Manufacture is supplied and presented in a wooden gift box and is water resistant up to a pressure of 5 bar (40 meters / 131 feet). The Swiss watch manufacture previously announced that it would be launching the Manufacture Zodiac 24H Limited Edition.